Beelink GS1 adopts Allwinner H6, which is a new quad-core Cortex-A53 processor designed for 4K set-top boxes. 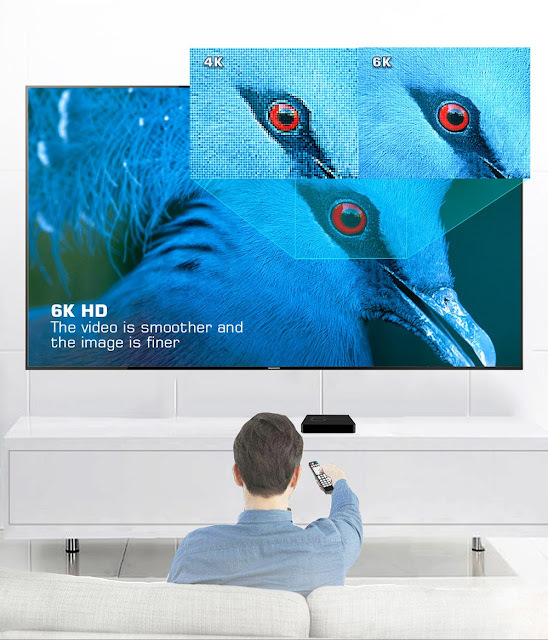 It support´s 6K video decoding for 10-bit HEVC, VP9, and H.264, integrate HDR10 and HLG video processing. 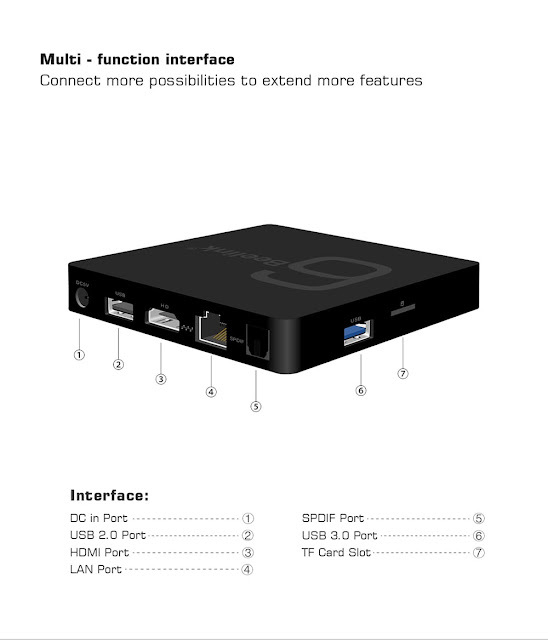 The Mali-T720 MP2 GPU provide 3D performance in the same range as other competing solutions based on Mali-450MP and Mali-T820MP GPU, and includes OpenCL support for GPU compute applications. A good choice for you to have the smooth experience to watch the video or play games. 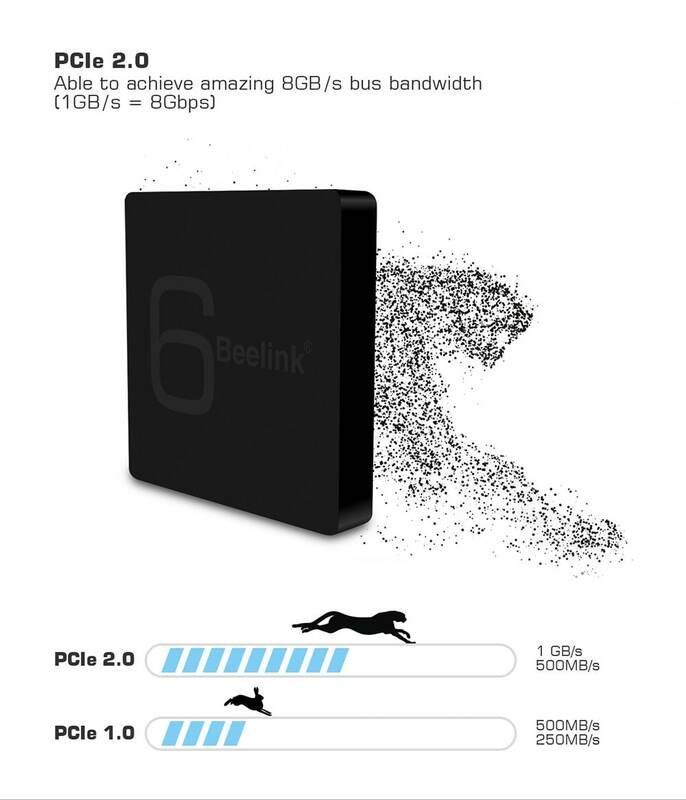 Beelink GS1 includes the all-new SoC Allwinner H6, a quad-core ARM Cortex-A53 processor that theoretically reaches 1.8Ghz and an ARM Mali-T720mp2 GPU capable of processing 4K video at 60fps and 6K at 30fps thanks to its Allwinner Phoenix 3.0 VE and the most common codecs. 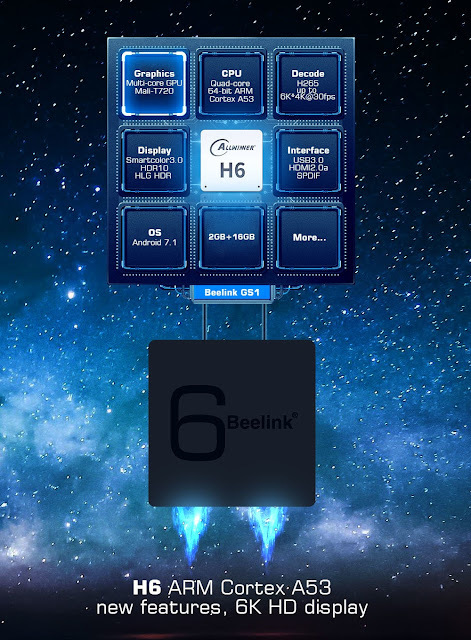 It also integrates on board 2GB of DDR4 RAM, 16GB of eMMC storage memory, WiFi aC and Bluetooth 4.1. 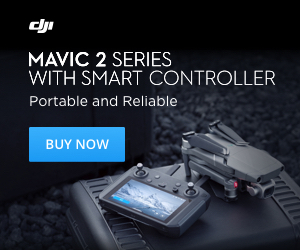 As for connectivity includes a microSD card reader, Gigabit network port, SPDIF digital audio output, a USB 3.0 port, a USB 2.0 ports and an HDMI 2.0a video output. 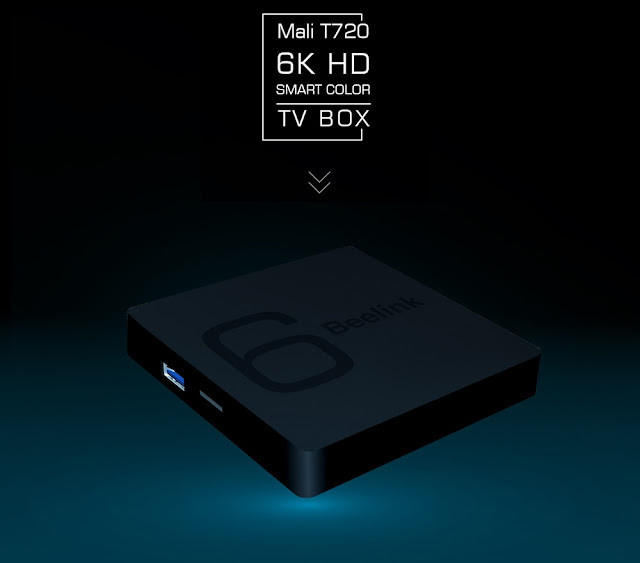 The operating system that we found in the Beelink GS1 is Android 7.1, among the accessories we have included an IR remote control while at the design level we find the typical quadrangular plastic box. The TV-Box Beelink GS1 can be purchased at Gearbest from 59.52€/$69.99 shipping included.